Thank you to everyone who took part in the Women Leaders in Global Health conference on 8-9 November 2018 at the London School of Hygiene & Tropical Medicine. 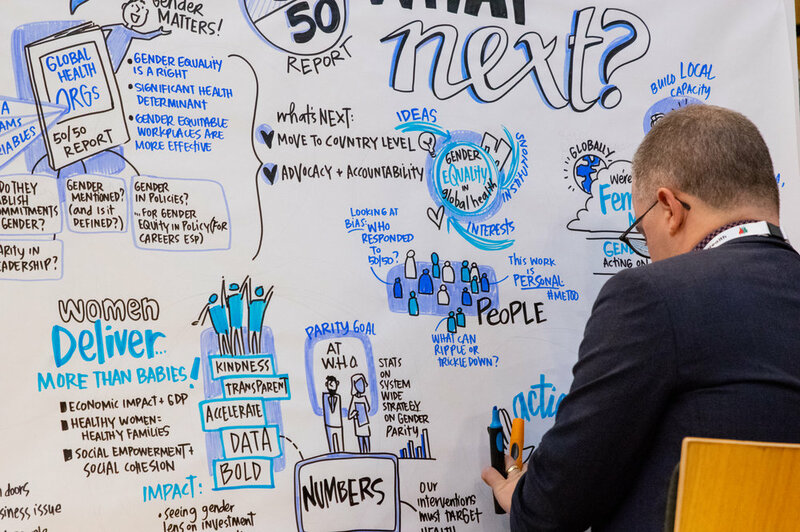 The WLGH conference brings together established and emerging leaders from across sectors and cultures to work towards gender equity in health leadership and to improve health for all. The 2019 WLGH conference will take place in Kigali, Rwanda on November 7-8. Let us know what you’d like to see at next year’s conference by completing the evaluation survey. To help us evaluate the 2018 WLGH conference, please complete this short survey here, where you can also register your interest in joining a working team for the Rwanda 2019 conference.